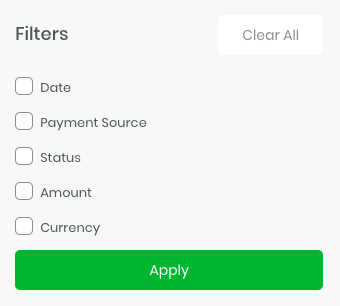 How to download a payment report? Learn how to use our reporting feature to access information and detailed data about received payments for accounting and export purposes. To access the reporting feature, simply find "Reporting" on the menu. 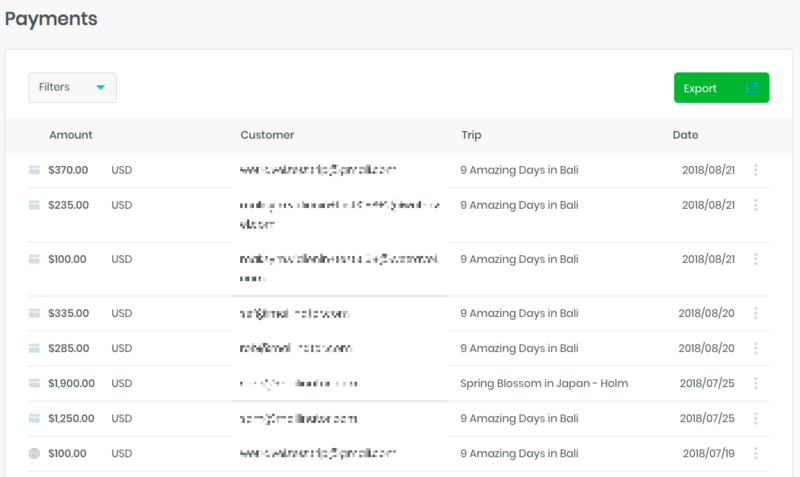 You will now see a complete overview of all of your payments collected through WeTravel. Once you've set desired filters you can download a custom report by clicking on "Export". Converted Amount - applicable if your trip is priced in any other currency than USD, EUR or GBP. 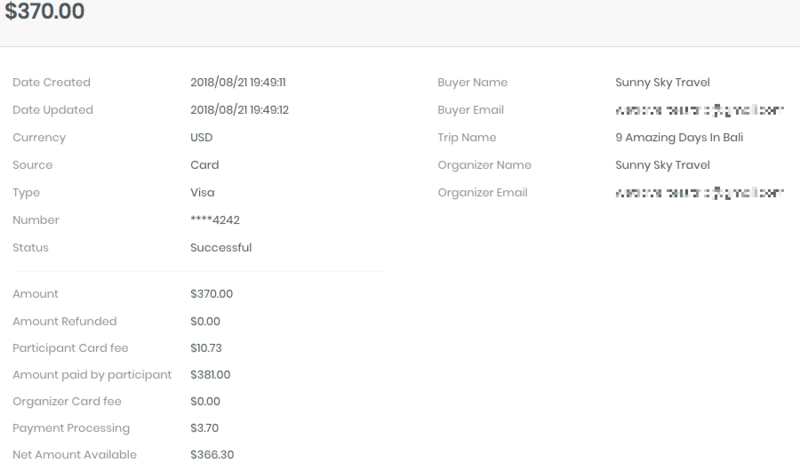 This is "Amount" converted to USD at "Date created (UTC)" based on Stripe's internal currency conversion rate.